The original owner and builder of this stone corral was Granville P. Swift, a native of Kentucky. 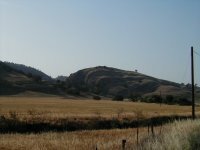 In 1847, Swift began ranching in Stone Creek Valley in Colusa County. 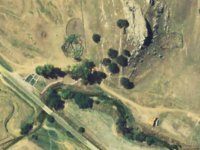 In 1850 he and his partner Frank Sears needed a corral and, as there was no timber in the surrounding country, they built one from the flat stones that were scattered over the area. The corral is much easier to spot when driving east on Maxwell-Sites Road. California Historic Landmarks indicates that there is a non-official plaque at this site, but no plaque was visable from the road. The Rectangular Corral is Visable in Aerial Photographs. 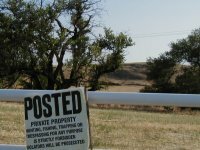 The Site is Posted "No Tresspassing". 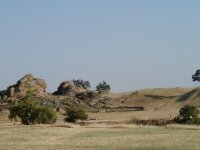 Hills to the West of the Site.